Windows 10 IoT Core is a version of Windows 10 that is optimized for smaller low power devices like Raspberry Pi 2 and 3. Before getting started, make sure you are running Windows 10 1507 (version 10.0.10240) or later. In my case, I am running Windows 10 Anniversary Update. It’s not Windows 10 as we know it from PCs or tablets, Windows 10 IoT Core is another branch of Microsoft’s OS designed to be run on low-power devices. For for this tutorial im using Raspberry Pi 3. If you don’t have a Raspberry Pi I would personally recommend buying the Raspberry pi-3 kit. 1. Go to the Windows 10 developer center website. 2. 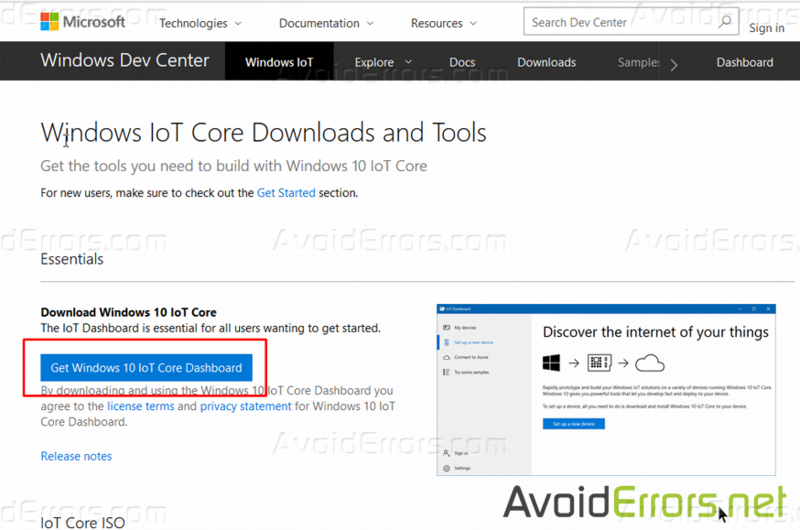 Download the application by clicking on Get Windows 10 IoT Core Dashboard. 3. 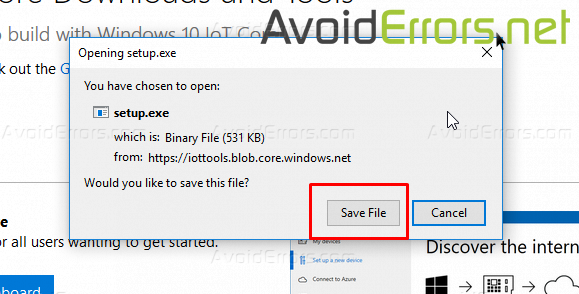 Double click the downloaded setup.exe to install and run the application. 4. 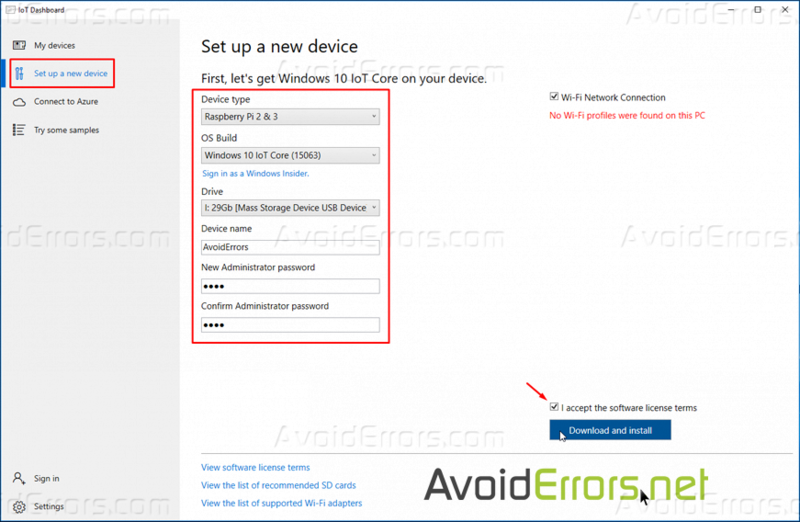 Select “Set up a new device” from the left pane. 6. Optional select the WiFi network connection you want your Raspberry Pi to connect to. 7. Check mark “I accept the software license terms” and then click on “Download and install” button. 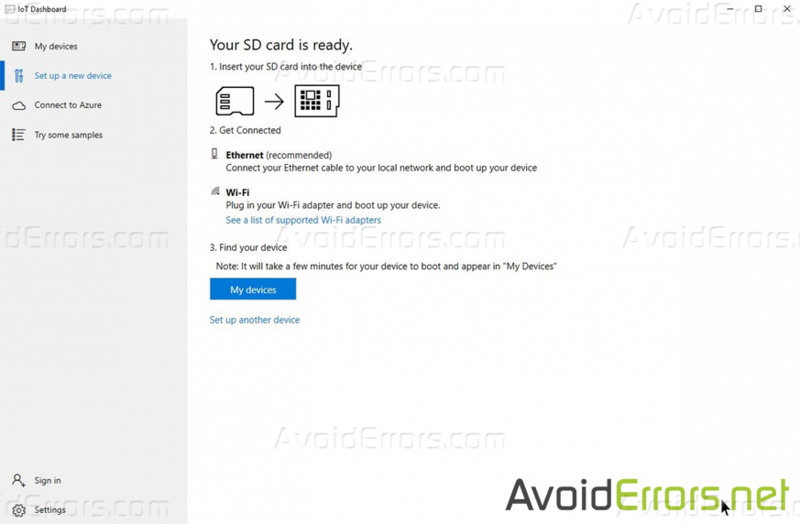 The application will now download the necessary files from Microsoft and flash them to your microSD card. It’ll take a little while, but the dashboard will show you the progress.